Last weekend, Aaron and I went to one of the local lakes to dive. We were on our own, but thankfully the people at the local dive shop in Schwetzingen told us everything we needed to know. We dove at a lake called Rheinauer See, that is only about 20 minutes away from our apartment. They require that you schedule your dive ahead of time and pay via Paypal. At only €2.50 each, it was cheap. Photo courtesy of Tauchsportclub Leimen e.V. Aaron and I go diving at least once a month, even through the winter. As a result, we have dove for the past 22 consecutive months (almost as long as we've been certified). This month was no different, except for the fact that I barely squeaked in my August dive, Sunday was the 31st and all. But it still counts! It was almost 6 weeks since I had last dove at Isle Royale and it felt great to be back in the water. It's kind of like therapy (but not necessarily cheaper). The water temperatures this weekend were the warmest we've been in all year - 65 degrees. Granted, we didn't really dip below the thermocline, or deeper than 28 feet for that matter, but I digress. We ended up doing a 40 minute dive. We didn't see much - some shopping carts, a toilet, the requisite gnome - but we did see a TON of fish. I think I counted no less than 4 schools of fish that we swam through. I haven't seen that many since we were in Roatan almost two years ago. One of the interesting things I noticed about the lake was the water ski area. There were people skiing, but no boats. They had a zip-line type contraption set up above the water with tow ropes attached to it. The skier was then pulled around by the zip line. I think this is something that would be cool to try, even though I've never been water skiing before. It can't be all that hard (famous last words). After diving, while waiting to return our tanks and weight that we had rented, we noticed this neat little roadside flower field. They had rows of sunflowers, dahlias and gladiolas planted and you could cut them yourself. They supplied little knives, and you paid per stem - 30 cents for the dahlias and sunflowers, and 60 cents for the gladiolas - when you were done cutting. All on the honor system. 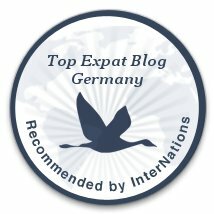 I's like to think that this would work in the US and that people wouldn't take advantage of it, but I think they would. 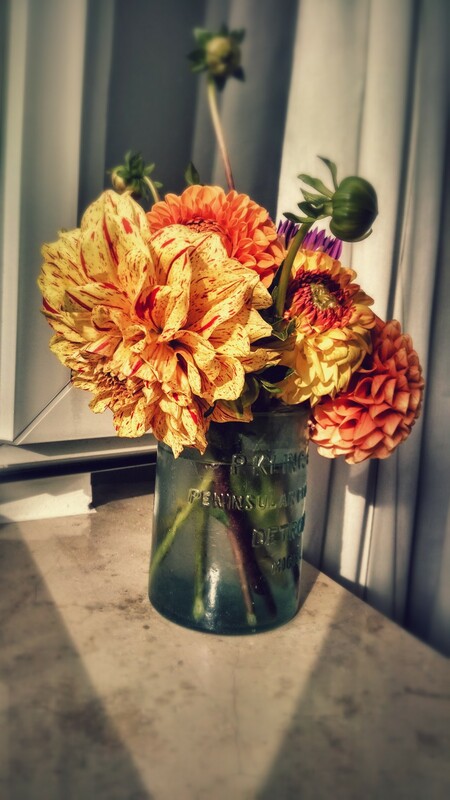 Anywho, we cut some beautiful dahlias that are still going strong in our glass-bottle-from-the-Detroit-river-turned-vase that sits on our kitchen table. All in all it was a good weekend and I'm glad to have not missed a month of diving. This past weekend we went to Brussels to dive at Nemo 33. No big deal, we are just drove four hours and crossed a couple of international borders after work on Friday. I don't know if I'll ever get used to crossing international borders the way we cross state lines.